Colombia's principal port and fourth-largest city (after Bogotá, Medellín and Cali) sprawls along the west shore of the Magdalena River about 10 km from the Caribbean. Shifting sandbars in the river's delta prevented large ships from reaching the country's interior, so English and German engineers built a railroad around the delta in 1871 [see area map]. 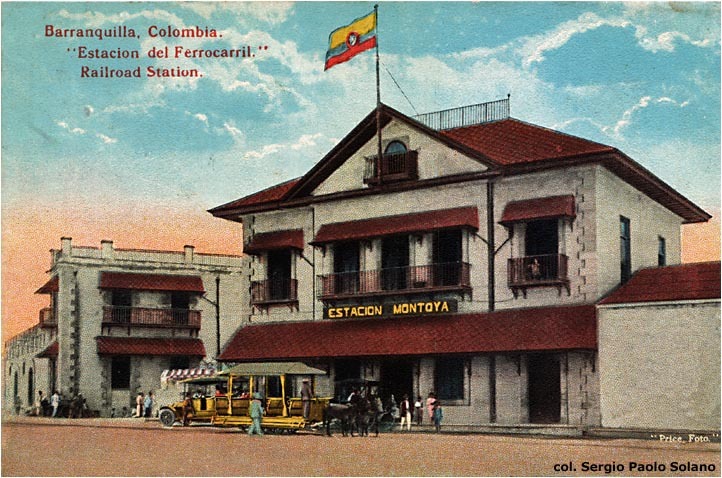 The Ferrocarril de Bolívar was the first rail line in modern Colombia (the Panama Railroad had opened in 1855). 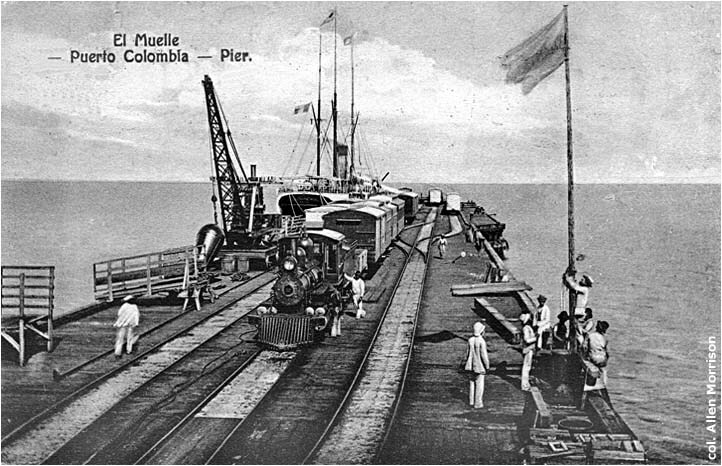 Produce was transferred from river steamer to train at Barranquilla, then back to ship at Salgar (and vice versa). 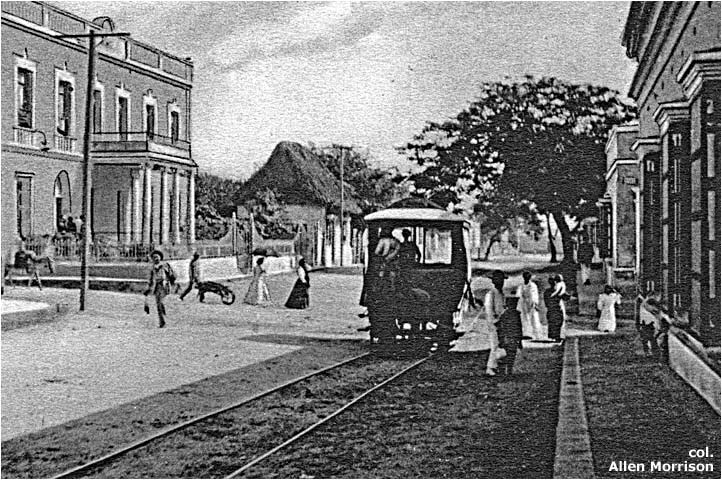 The celebrated Cuban engineer Francisco Cisneros, who adopted U.S. citizenship in 1874, extended the railroad to Puerto Colombia in 1882, sold it to the English in 1887, and built the tramway in Barranquilla in 1890. The city grew rapidly and opened South America's first commercial airport in 1920. Population today is about two million. 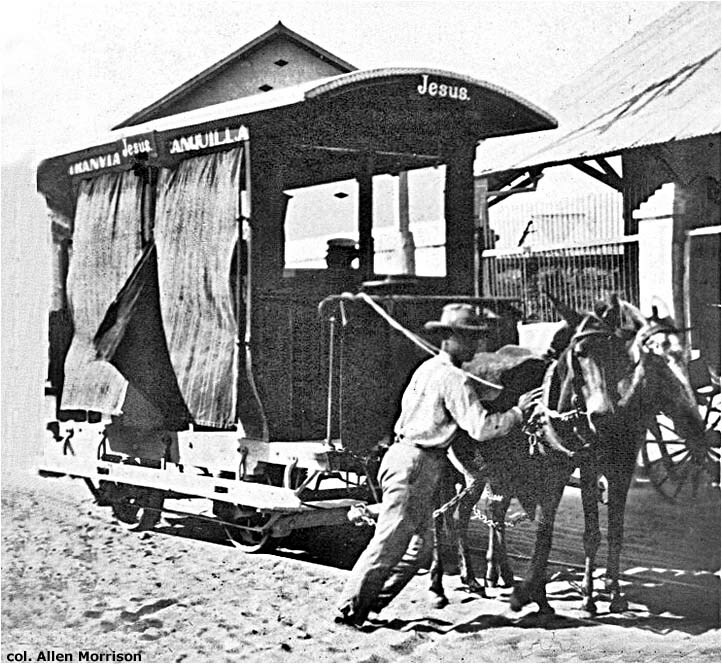 Street railways had begun operation in Bogotá in 1884 and in Medellín in 1887, both using vehicles supplied by J. G. Brill Co. in Philadelphia. 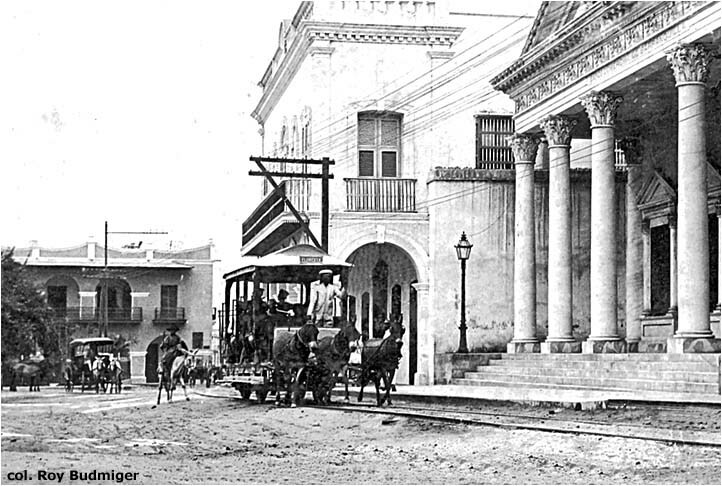 Cisneros acquired a franchise in 1887 to build a tramway in Barranquilla and, through his agent Pérez Triana & Co., ordered four passenger cars and two gondola cars from Brill on 23 August 1889 (Brill orders 2700 and 2701). 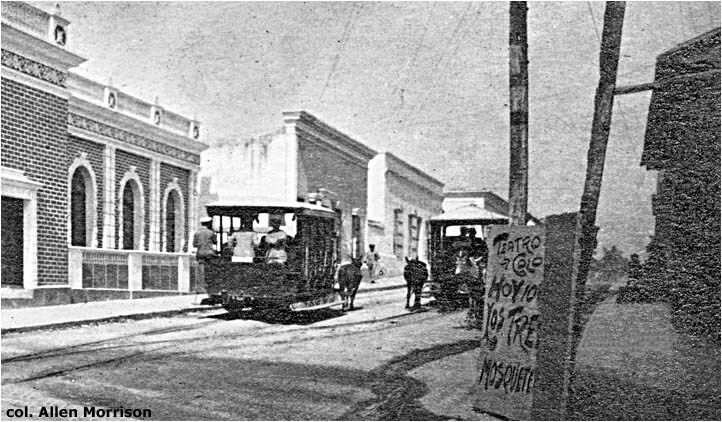 Cisneros registered the Barranquilla Tramway Co. in Charleston, West Virginia, the following 26 September [see document] and began running trams on Calle Jesús in Barranquilla on 26 April 1890 [see city map]. 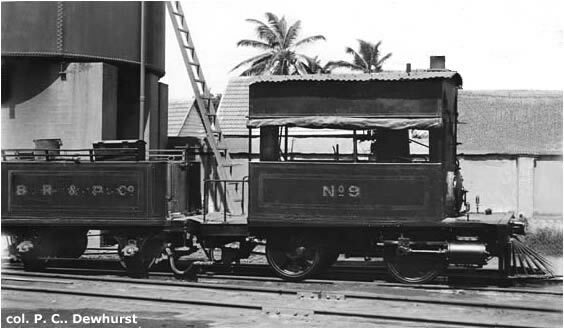 Later in 1890 he ordered an inspection tram from Brill (order 3132) and another gondola (order 3450) in 1891. 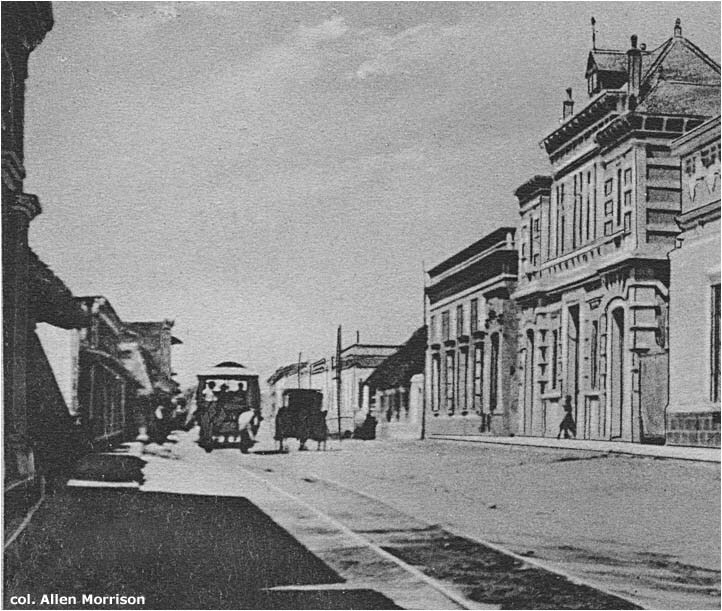 Newspapers of the era indicate that Barranquilla's first trams were pulled by steam locomotives, and that locomotives pulled 30-foot-long double-deck passenger cars (!) on the line the following October. The origin of such vehicles is unknown. 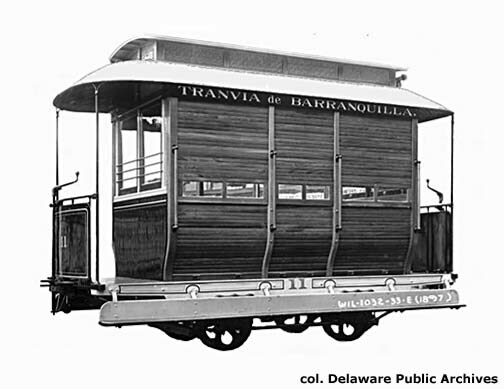 Tranvía de Barranquilla purchased cars from Jackson & Sharp Co. in Wilmington, Delaware, at the end of the century, and more vehicles from Brill in the 1900s. The photographs that Brill took of its early cars are lost. No illustrations could be found of the double-deckers. 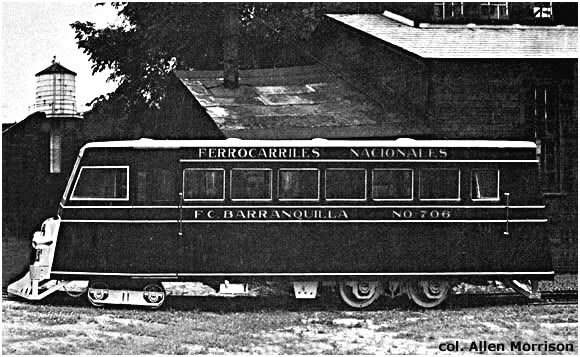 But we have pictures that Jackson & Sharp took of its Barranquilla models, a picture of the tram that Brill built for Barranquilla in 1915, a photo of one of the locomotives, and views from old picture postcards. This page is primarily a picture survey. 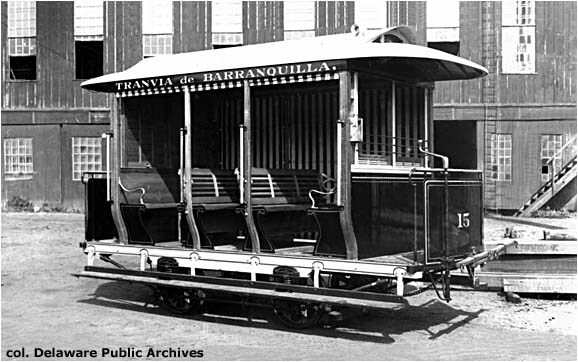 Additional information about the development of the Barranquilla tramway system can be found in the works listed in the Bibliography below. The new municipal organization inherited a fleet of about 20 tram cars. Many were 30-35 years old and some were no longer in operating condition. The city was growing rapidly and gasoline-powered buses soon ran along the tram routes and into new districts. 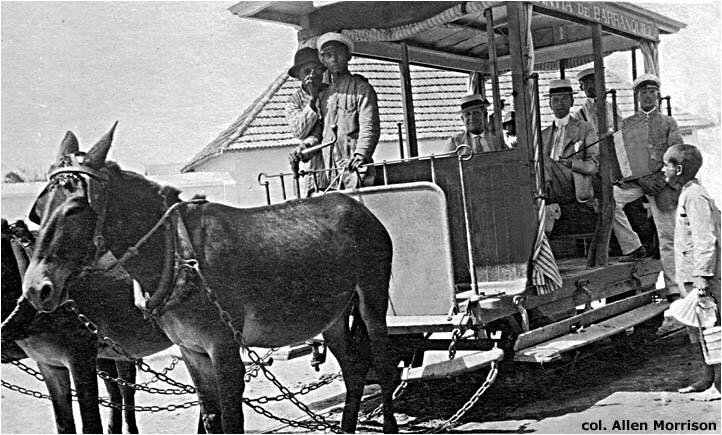 The diminutive animal-powered trams were obsolete. 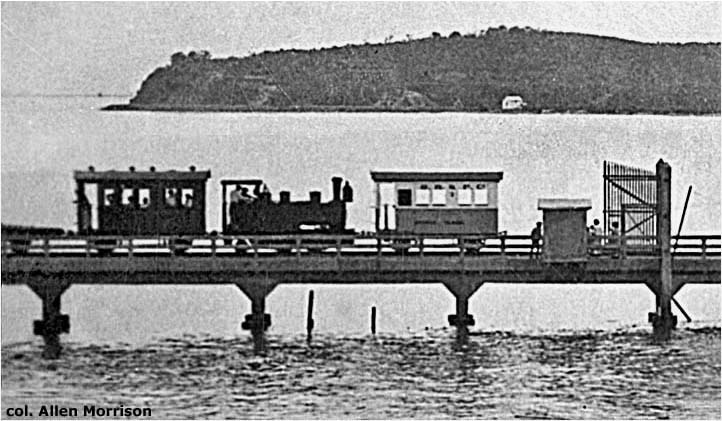 The tramway ceased operation in 1927. The exact date could not be found. West Virginia. Acts of the Legislature, January 13, 1891. Charleston, 1891. 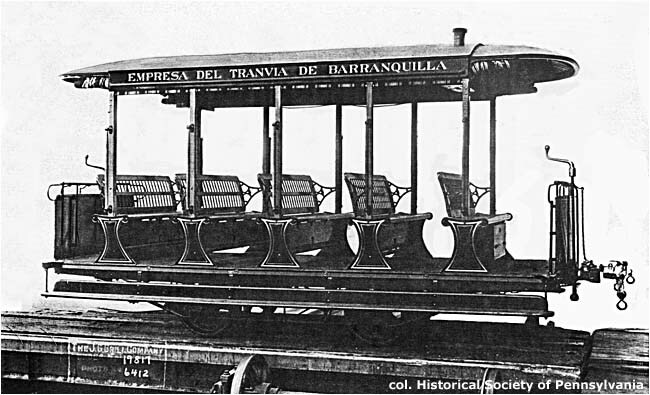 Incorporation of the "Barranquilla Tramway Company" by Francisco J. Cisneros and others. Francisco Javier Vergara y Velasco. 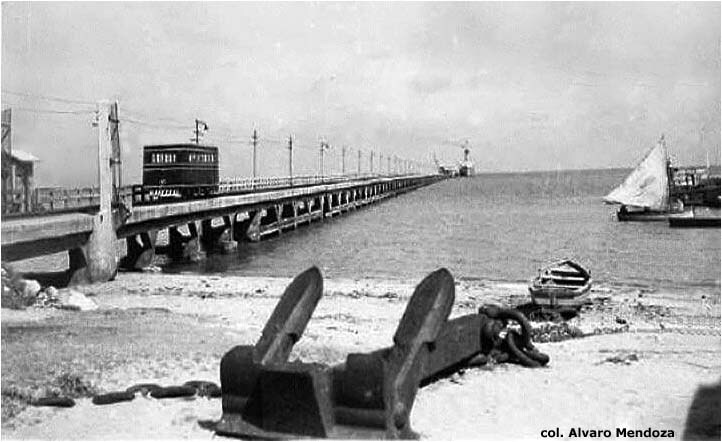 Barranquilla-Ceniza y Puerto Colombia. Bogotá, no date [1892?]. Beautiful large map shows the entire Bolivar Railway and its connection with the "tranvía" in Barranquilla. United States. 59th Congress, 1st Session, December 4, 1905 - June 30, 1906. House Documents, vol. 57, pp. 151-162. A section entitled "Modern Tramway. Franchise for 39 Years" describes the Barranquilla electrification contract of Francisco E. Baena. Ernest Theveniro, I.C. 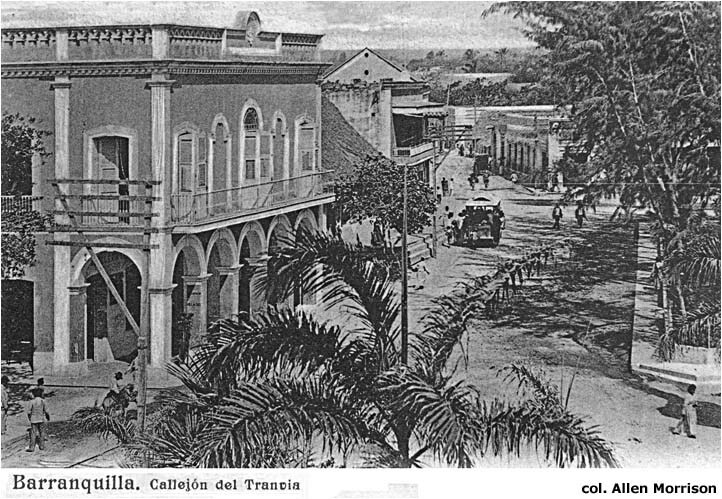 Plano de Barranquilla, Colombia, S.A., en 1914. Large 1914 street map at scale 1:5,000 shows the tramway system. Banco Dugand. Plano de Barranquilla, Departamento del Atlántico, Colombia, Sur América. 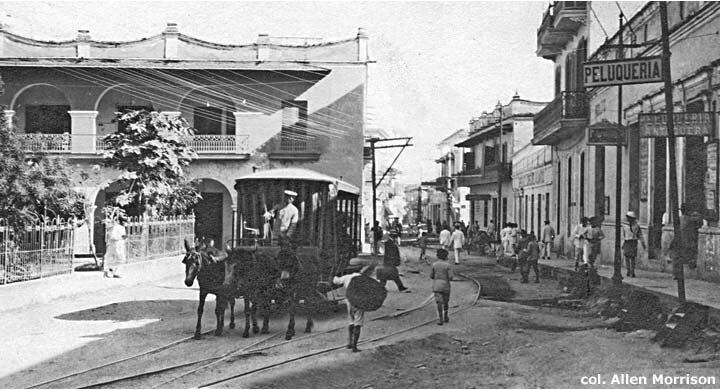 Barranquilla, 1921. Nice colored street map shows the tram system clearly. Rodrigo Matallana. 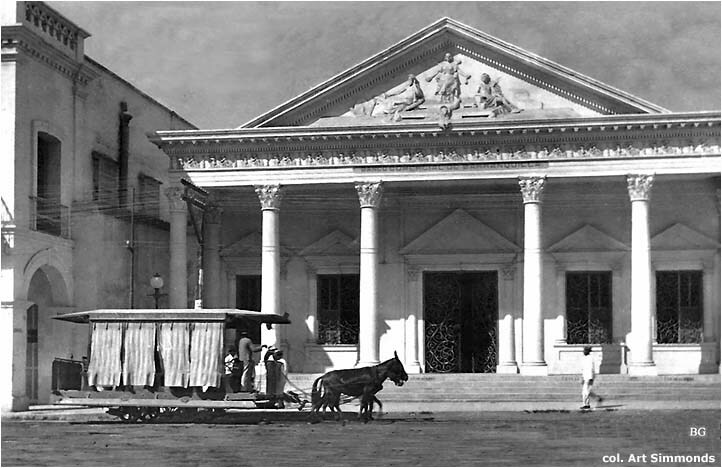 Guía de la ciudad de Barranquilla. 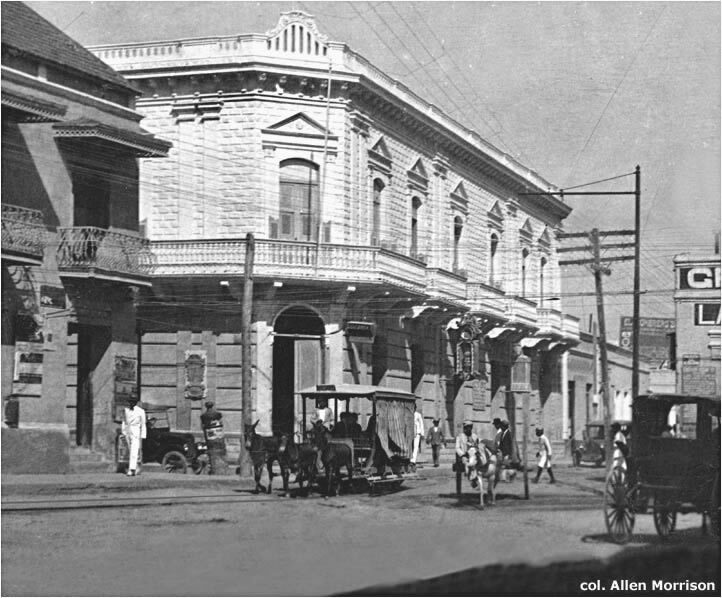 Barranquilla, 1923. "Tranvía" page describes the routes of the two lines and notes the "Ambulance" service. J. Fred Rippy. "The Development of Public Utilities in Colombia" in Hispanic American Historical Review (Washington), vol. 25 (1945), pp. 131-137. This article is mentioned here only because of its stunning inaccuracy. The text on p. 134 states: "The tramways of Medellín, Cúcuta and Cartagena were electrified shortly after those of Bogotá. 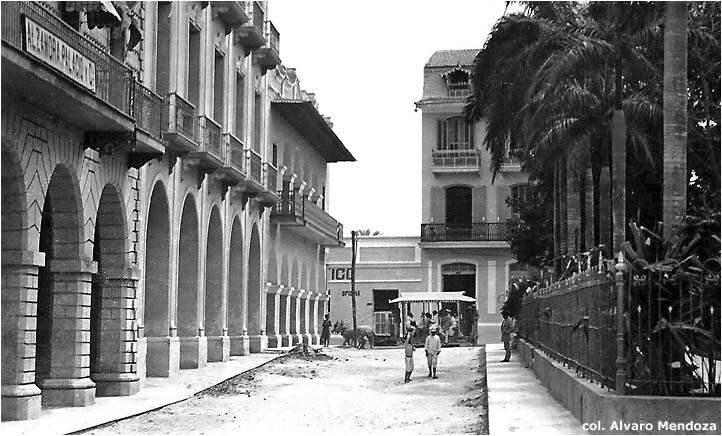 In other Colombian towns – Barranquilla, Cali and Pereira – the trolleys did not arrive until the 1920s." 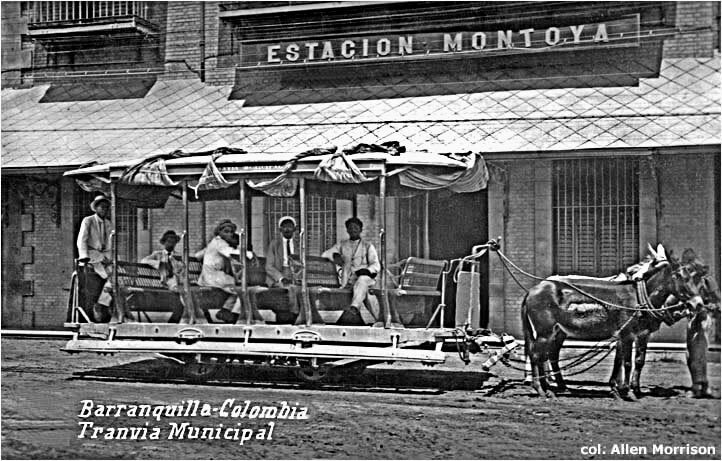 Fact: Bogotá, Medellín and Pereira were the only cities in Colombia that had electric tramways. Hernán Horna. "Francisco Javier Cisneros: A Pioneer in Transportation and Economic Development in Latin America, 1857-1898" in The Americas, vol. 30, no. 1, July 1973, pp. 54-82. One of the best biographies of Cisneros in English. 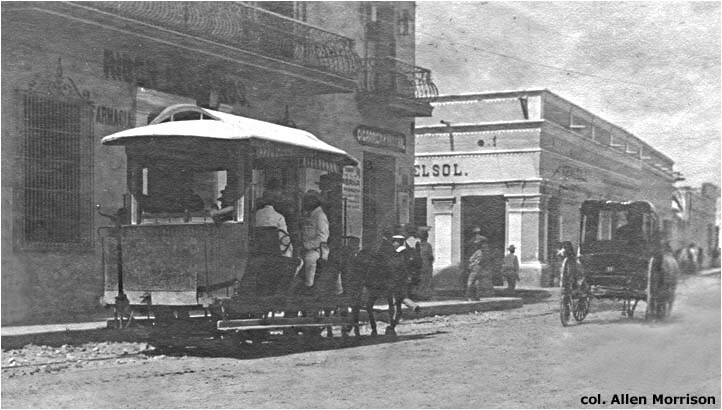 The section on the Barranquilla tramway, p.70, mentions Cisneros' interest in delivering mail by rail. Hernán Horna. 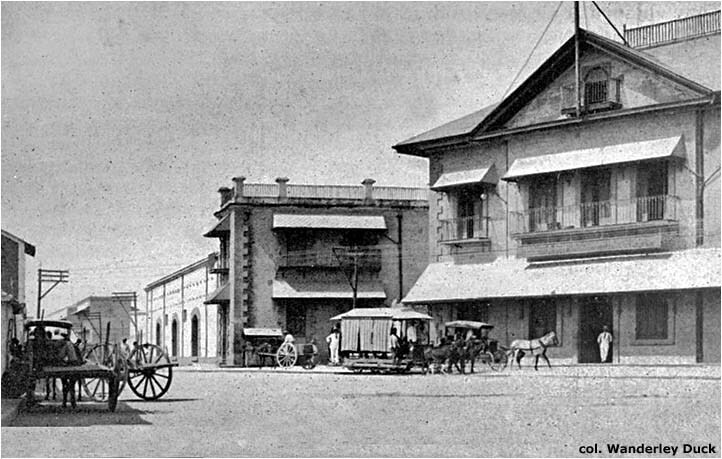 Transport modernization and entrepreneurship in 19th century Colombia: Cisneros & friends. Uppsala (Sweden), 1992. Another good source of Cisneros information, written 19 years after the above. 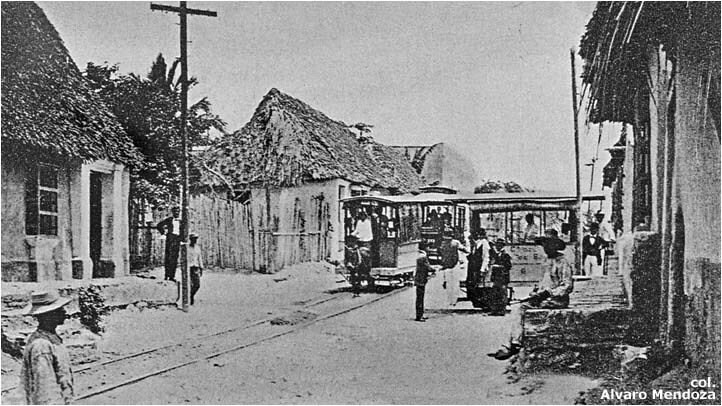 Brief discussion of the Barranquilla tramway, p. 147. Pilar Lozano. 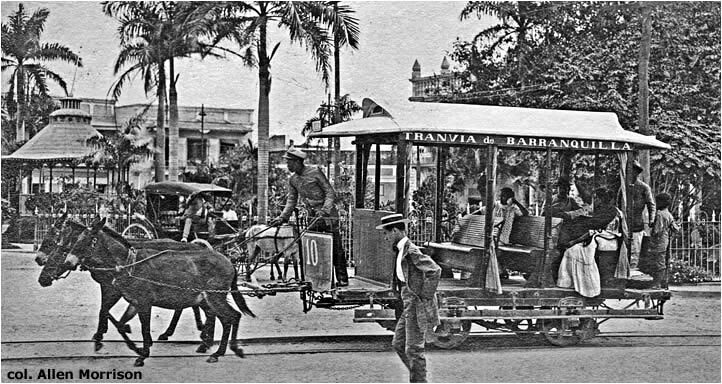 Cuando Barranquilla tuvo tranvía. Colorful tramway history, presented as a school lesson, 2004. Buses de Colombia. Una Historia Urbana y una Historia de Vida. Bogotá, 2007. 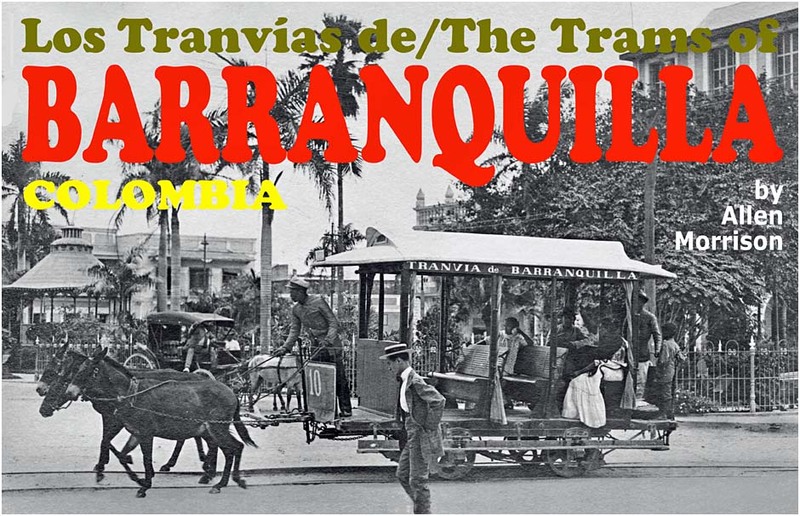 Complete transport history of Barranquilla: horseback, tramway and buses. Juan Santiago Correa R. [Restrepo]. Trenes y puertos en Colombia: el ferrocarril de Bolivar. Trenes y puertos en Colombia: El Ferrocarril de Bolívar. Bogotá, 2012. Link to new book not yet available for viewing. Juan Santiago Correa R. [Restrepo]. 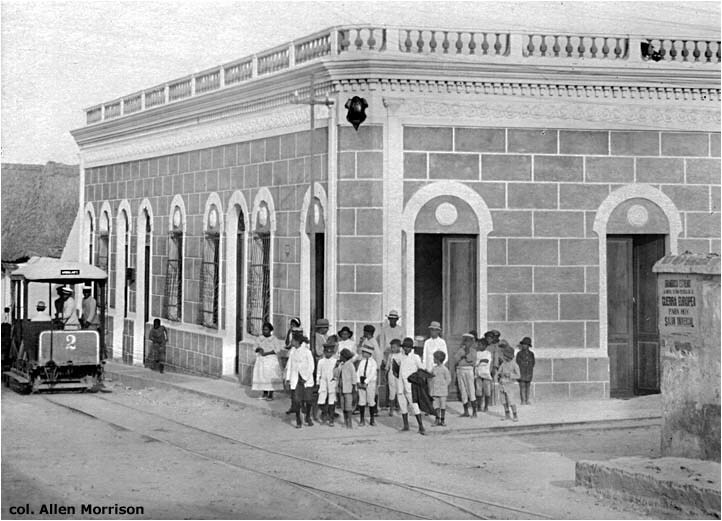 "El Ferrocarril de Bolívar y la consolidación del puerto de Barranquilla" in Revista de Economía Institucional (Bogotá), vol. 14 n. 26, primer semestre/2012, pp. 241-266. Bolivar Railway chartered in London, p. 246. Moisés Pineda Salazar. 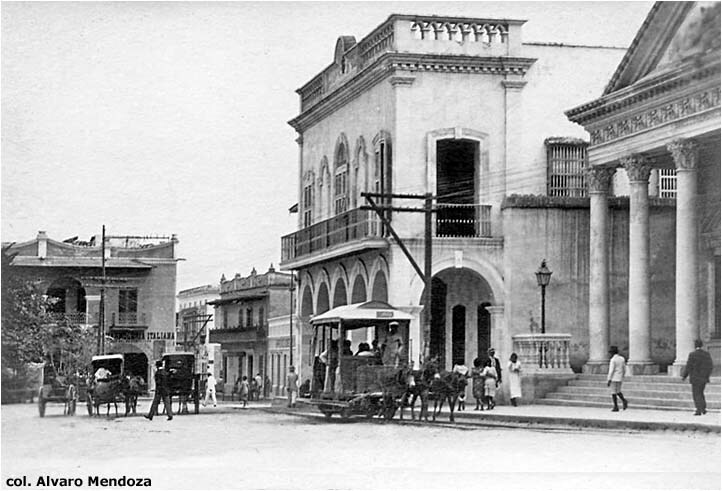 El Tranvía a Vapor en Barranquilla. A 15-minute YouTube interview with Sr. Pineda Salazar in which he discusses his research on steam tramway operation in Barranquilla. This politician, mayoral candidate, educator and city planner has pursued extensive investigations into early tramway operation. Historical Society of Pennsylvania. J. G. Brill Company Photographs. Description of the 13 large order books and approximately 16,000 photographs (with 16,000 negatives) preserved at this museum in Philadelphia. Delaware Public Archives. 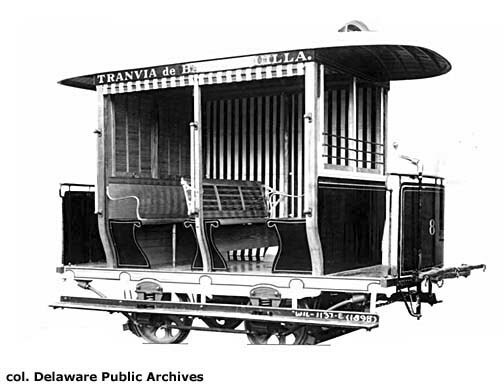 Delaware Heritage Collection: photographs of three "street cars" that Jackson & Sharp Co. in Wilmington (Delaware) built for the Tranvía de Barranquilla. Source of the builder's pictures above. In addition to the aforementioned works, the author wishes to express his sincere gratitude to Barranquilla residents Alvaro Mendoza, Pierre Mandonnet Allombert, Moisés Pineda Salazar and Ernesto Bischoff for their contributions to this page. please e-mail me! Leo y escribo español.